The federal government says it will shut down the land border between Nigeria and a neigbouring country in a few days time to avoid smuggling of foreign rice into the country. 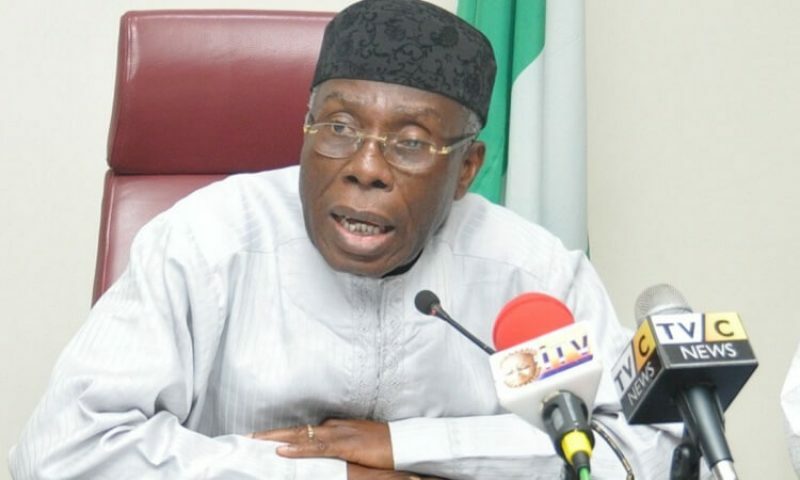 Audu Ogbeh, minister of agriculture and rural development, made the disclosure in Abuja on Monday while speaking with youths in a leadership clinic under the auspices of Guardians of the Nation International (GOTNI). Ogbeh did not mention the particular country and border but noted that the action had become necessary to encourage local production and sustain the economy of the country. The minister said a neighbouring country was bent on destroying the economy of the country and discouraging local production of rice, hence the need to shut down the border. “Our other problem is smuggling. As we speak, a neighbor of ours is importing more rice than China is importing,” he said. “They do not eat parboiled rice, they eat white rice, they use their ports to try and damage our economy. “I am telling you now because in a few days, you will hear the border has been shut, we are going to shut it to protect you, us and protect our economy. “You will start seeing all sorts of negative things on the internet. Let me tell you why we need to shut the border, I grow rice, I was the first Nigerian to mill rice free of stones, if you plant rice in certain parcels of land, some poisonous materials gets into the rice. “There are three kinds of water in their natural state; there is fresh water from the river, salt water from the sea, blackish water. “If you go to the Delta in many countries, in South East Asia where they grow the rice, if you plant rice in the same place like four to six years continuously, the quantum of arsenic begins to increase and arsenic causes cancer and that is what they are dumping for us. He said the federal government in two years reduced rice importation by 95 percent and increased the number of rice farmers from five to 30 million. The minister said states like Anambra, Ebonyi, Kebbi, Kano, Jigawa were doing well in rice production. “We just have to handwork you to prosperity otherwise, this country will not grow. My wish for you is to have a better time that we had,” Ogbeh said.